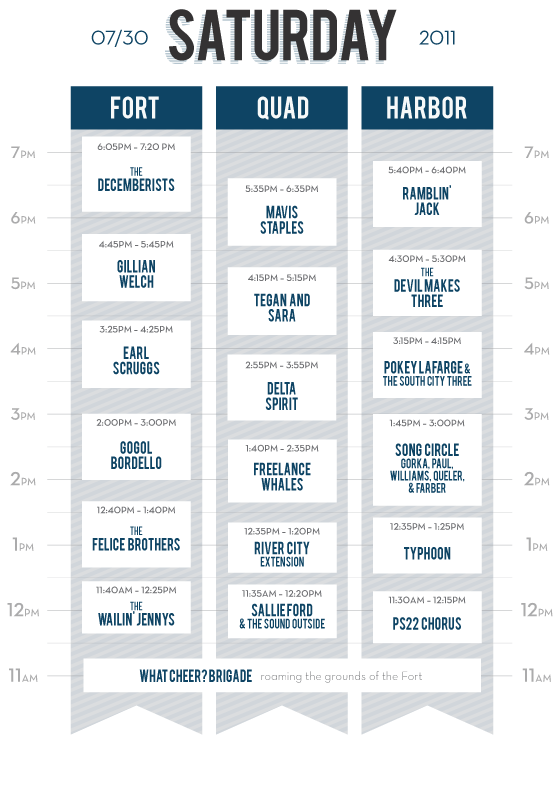 With less than three weeks to go to pick out your outfit, the Newport Folk Festival’s schedule was announced this weekend. The Decemberists and Gillian Welch are back to back on Saturday evening. 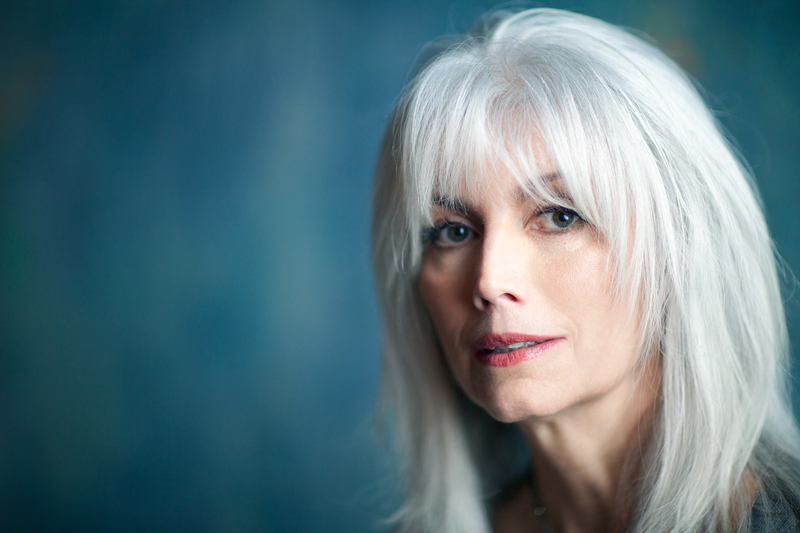 Sunday kicks off with, David Wax Museum, the band that debuted on the national scene at last year’s festival after winning Magic Hat’s magical band contest, and closes with the legendary Emmylou Harris (who is still hot at 64). Many others in between. Tickets are still available. You can look forward to some serious coverage right here over the next few weeks, during the festival and for years to come. Just booked my travel and have assembled an badass team to help me capture everything! More on that to come. 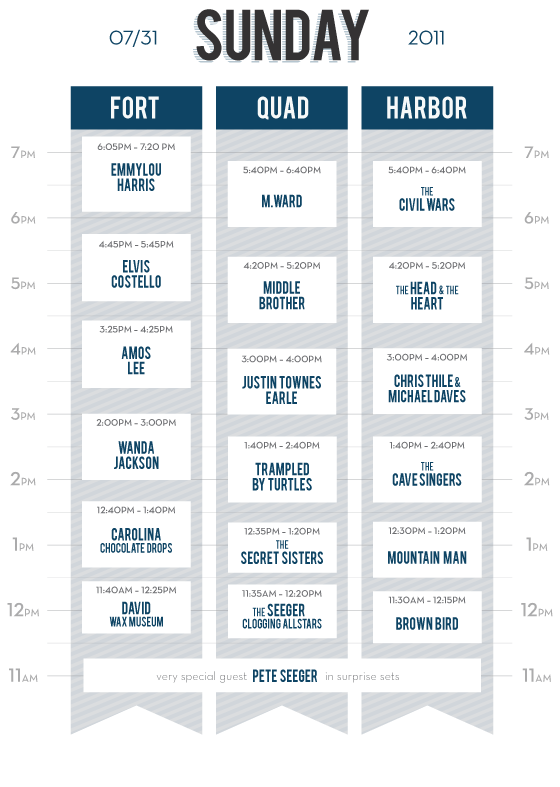 In the meantime, here’s that schedule.